Jalapeno Pimento Cheese Balls are quick and easy, last minute appetizers perfect for New Year’s Eve or fun and festive Super Bowl party. When December knocks on the door and all the holidays that go with that, every woman starts thinking about Christmas and New Year’s recipes that she should have „in reserve“. One of them is a well known and a can’t miss appetizer recipe. 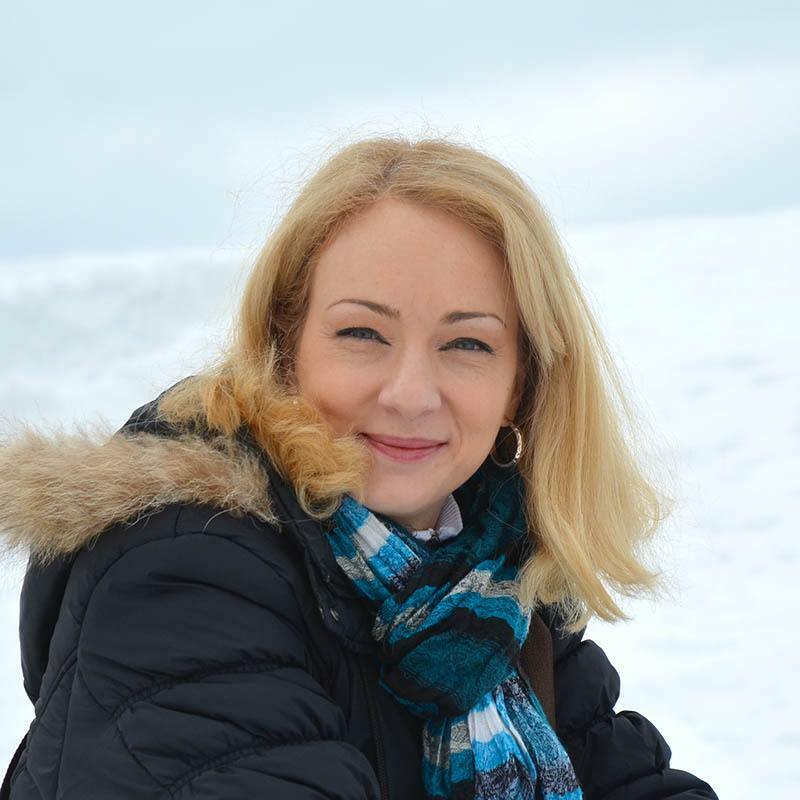 As for me, these days bring a lot of visits from friends and family and since many of them know that food and blogging are my occupation, then it is expected of me to provide something interesting and tasty. My joker for occasions like this one is a quick and tasty appetizer. For a long time, the yummy Ham and Cheese Rolls were a real hit among my friends, but since then, my first choice has become Pimento Cheese. This spicy mix (Pimento – Cheddar Cheese) can be served in literally a thousand ways (with crackers, on bread, on tortillas) and besides the fact that most will be delighted with the taste, in the eyes of your friends, you will look like a creative cook. This time, as a preparation for Christmas and New Year’s holidays, my choice is Pimento cheese packed into little beautiful balls and rolled into bits of Pecan and fried bacon. And to make the taste a little more spicy, I decided to put in Jalapeno, and in the end, I got those wonderful Jalapeno Pimento Cheese Balls. Of course, as in most cases, the main test was my husband, this time with his best friend while they were watching one of their „super interesting“ matches just before the play off . „I need some guys for a tryout of my New Year and Super Bowl appetizer and I think that you are just the right players for that“ I was joking while I was putting my Pimento Cheese Balls in front of them. 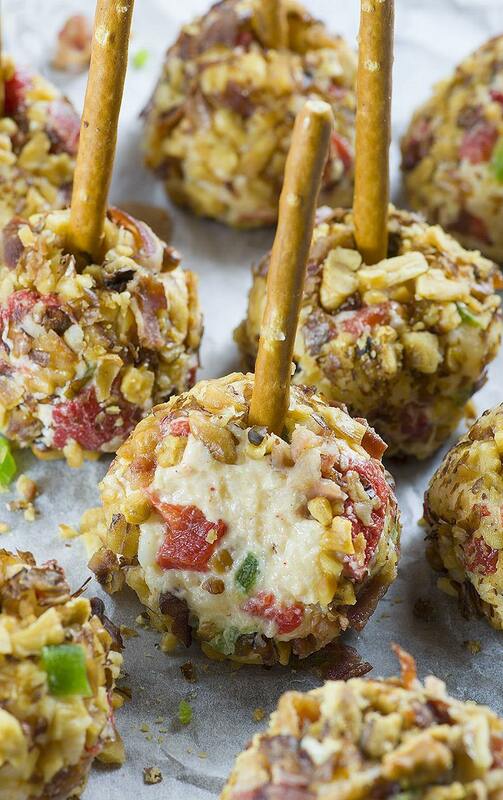 I skewered each cheese ball with a pretzel stick. Of course, every comment was unnecessary because everything I found on the table on half time was a few pretzel stick. „It goes perfectly with beer. We want this for the Super Bowl“. 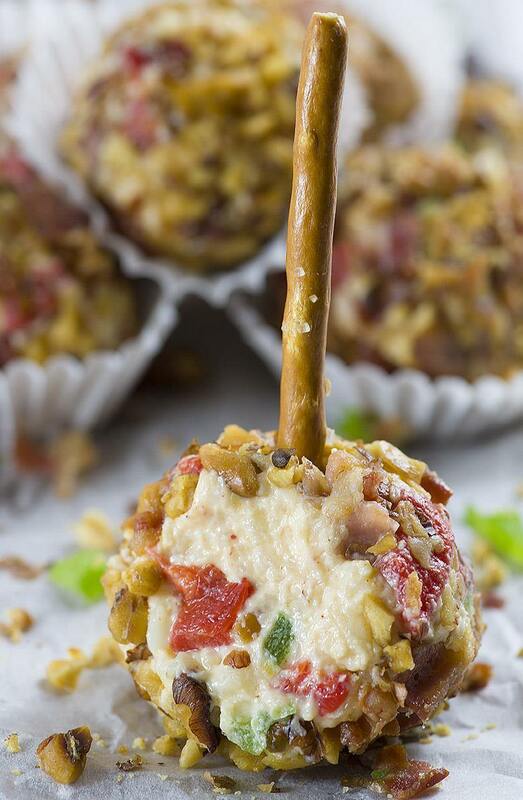 That meant that Jalapeno Pimento Cheese balls are the joker for every situation like this that comes in the future. Combine cheese, mayonnaise, garlic and onion powder, cayenne pepper, pimento and jalapenos in the bowl of an electric mixer and blend at medium speed until well combined. Season with salt and pepper, cover and refrigerate for 1 hour to firm up. in a shallow bowl combine chopped pecans and cooked bacon. 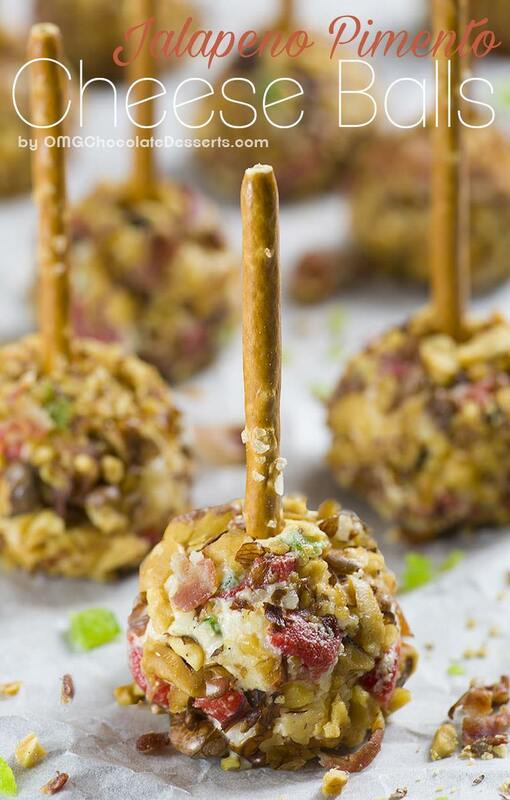 Roll pimento cheese into tablespoon-size balls and roll into bacon-pecan mixture.